The photos were taken while sitting behind the steering wheel of my truck. 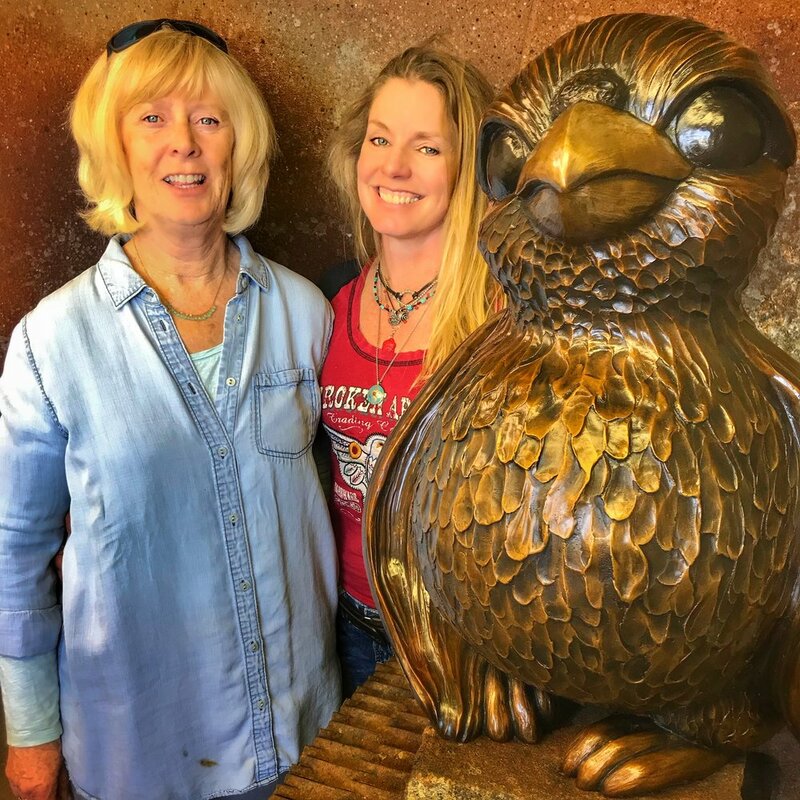 I had just picked the sculpture up, fresh from the foundry earlier this spring and couldn’t wait to text photos to Mary, the director of Eagle Mount. I was on my way to a bachelorette party but so excited about the baby eagle that I had to pull over while driving up Paradise Valley and be a bit late for the party. The folks at Eagle Mount get to name him because the sculpture belongs to them. Perhaps you have followed my adventures over the years and already know about the special outdoor ski program I volunteer for with Eaglemount? One morning a week during the shortest days of the year I share Momma Nature and snow slopes in a program sponsored by Eaglemount, a non-profit dedicated to providing adventures to people with disabilities and life-changing camp experiences for veterans and families with children who have cancer. Eaglemount is more than ski classes - the program offers so much to many unique peeps; young and old. "Eagle Mount Bozeman is committed to provide quality therapeutic recreational opportunities for people with disabilities and young people with cancer, and to provide support for families of participants so that “they shall mount up with wings as eagles.” (Isaiah 40:31)"
I missed out volunteering for Eaglemount’s ski program this past winter since my mother’s debilitating Alzheimer’s required my full attention but I came up with another way to contribute; the baby eaglet was born…! The limited edition of 100 solid bronze sculptures belongs to Eagle Mount - they receive 100% profits from sales. My collector peeps had first chance at the little buggers before Eagle Mount launched them in their eNewsletter a few weeks ago. Last weekend the sculpture was given as a gift to donors who gave $1000 or more to Eagle Mount. More than 1/2 the edition has already found homes; I am overwhelmed with gratitude to be able to create art that will outlive me and and provide funding for others less fortunate than myself. Thanks to a generous pledge of $10,000 – the Bison Bench “Sojourn” is one step closer to being placed permanently at the Bozeman Yellowstone International Airport. Three pledges totaling $26,000 have been promised for the project. I carved the life size bison in black walnut before casting it in bronze. The sculptural bench will be at the top of the stairs near the fireplace to greet people arriving in Bozeman.